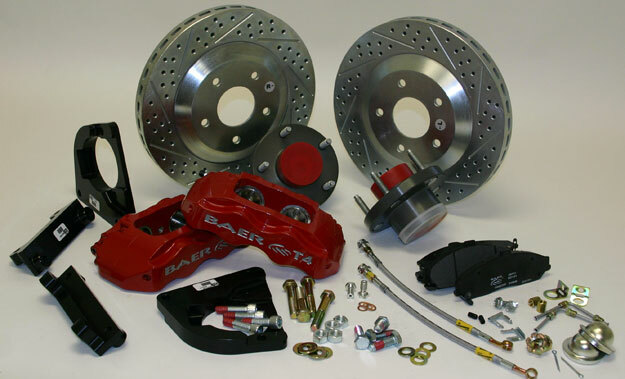 Baer Brake Systems, manufacturer of one of the industry’s most complete line of performance brake products, has launched a new system called the Track 4. 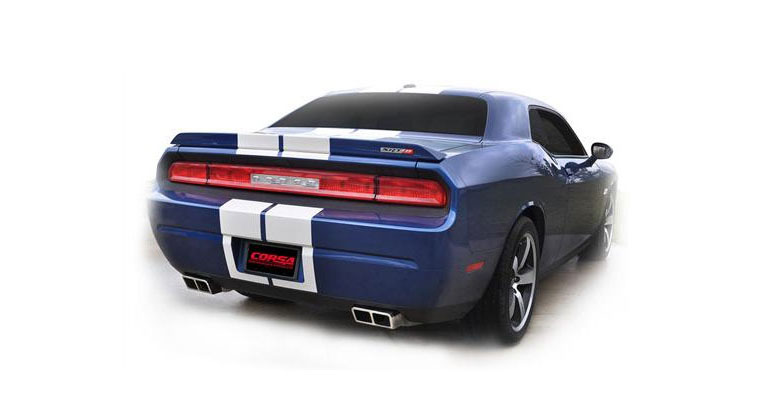 Available for most domestic muscle car applications with 16” or larger wheels, the new Track 4 systems will begin to replace Baer’s line of PBR, 2-piston “Track” kits. Featuring Baer’s newest T4, 4-piston calipers mated to 13” diameter rotors; Track 4 kits promises to offer performance well beyond that of any other brake system in its price range. And with additional features such as standard powder coated caliper finishes in Red, Black or Silver and brilliant, slotted, drilled and zinc plated finished rotors, the new Track-4 brake system is sure to look as good as it performs. 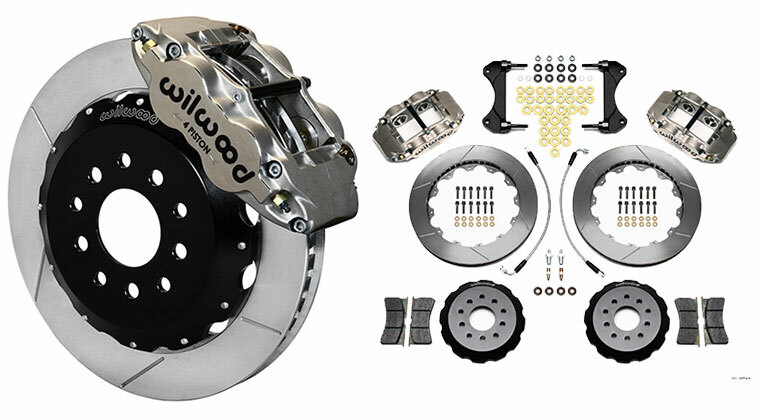 • The 6-bolt architecture of the T-series two-piece bodies produces an incredibly stiff caliper. • Radial mounting configuration disperses loads evenly, makes custom adaptation (when applicable) straight forward and the servicing of pads or rotors a simple, clean and easy task. • Stainless pad abutments which can be changed easily when changing pads also serve as anti-rattle/noise shims. 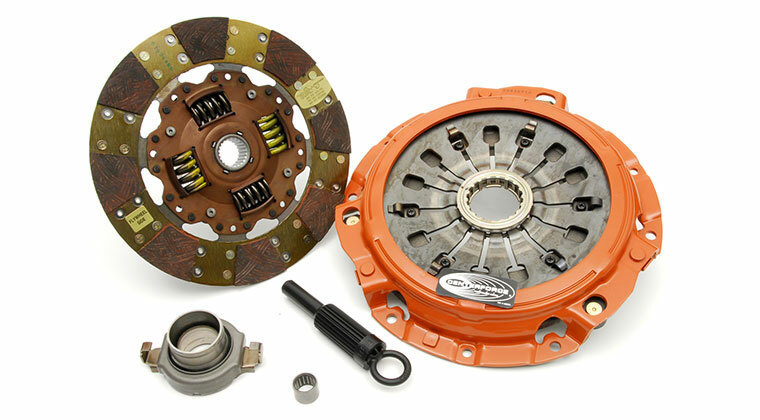 • T4 units are simple to maintain, using the same pad shape as found on 1998-2002 Chevrolet Camaro. The FMSI (Friction Materials Standards Institute which is the recognized authority on brake pad references) number for this pad shape is D749. The D749 is available in a wide cross section of pad compounds from most US pad manufactures. 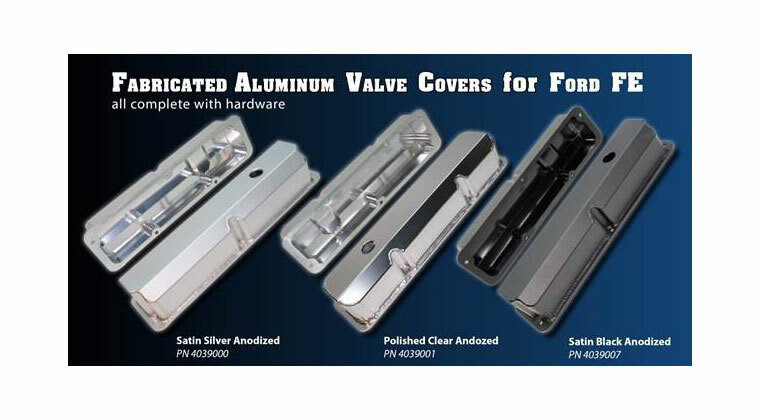 • Features internal fluid transfer passages and are bolted together from the back half of the caliper. This arrangement makes the exterior of the T-series ultra clean with no externally visible crossover or bleeder. • Since only a single bleeder, located on the inner half of the caliper is used, T4 units bleed quickly and easily. • Available in two widths for 1.100” or 1.250” thick rotors. Baer Track-4 Systems are available now for most domestic muscle-car applications, with other applications soon to follow. Prices for complete systems start at just $1,095.00! • Systems contain all necessary mounting brackets and hardware, and even come with stainless steel braided hoses where required. • Early domestic Muscle Car applications also include 6061-t6 billet aluminum hubs, pre-packed in Redline synthetic grease for a mess free installation. 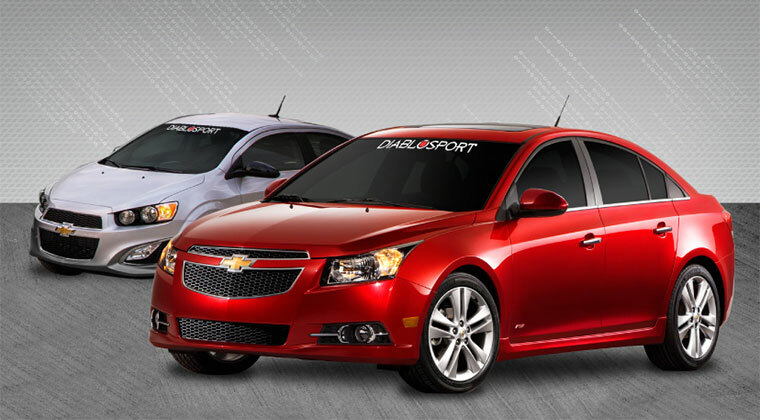 • All components meet DOT specifications and are street legal in all 50 states. • The 6-bolt architecture of the T-series two-piece caliper body produces an incredibly stiff caliper, netting incredible power and control! • Stainless steel pad abutments which can be easily serviced when replacing the pads also serve as anti-rattle/noise shims. 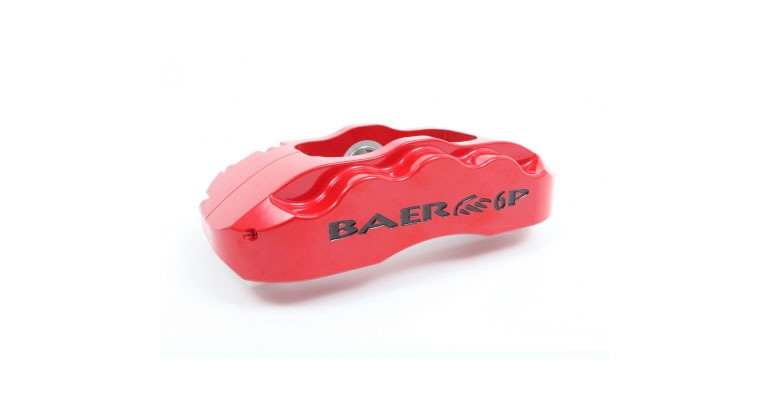 • Track-4 systems are Street and Track ready and include Baer’s DecelaPad brand, Ceramic compound brake pad, offering quiet, low dust operation, with thermal stability up to 1385 deg. F.
Baer Brake Systems, manufacturer of one of the industry’s most complete line of performance brake products, has launched a new system called the Track 4. 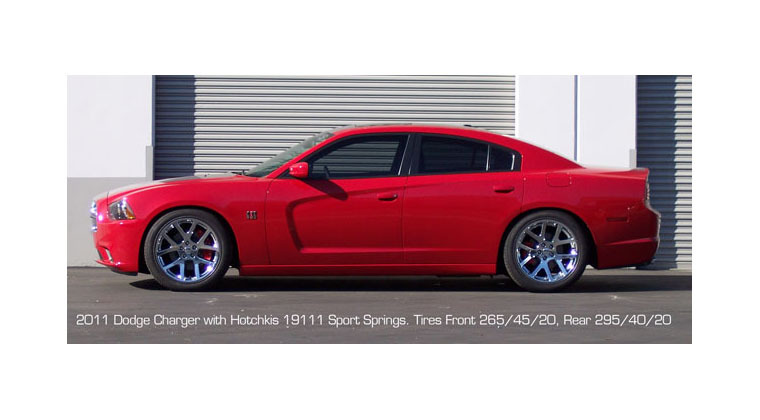 Available for most domestic muscle car applications with 16” or larger wheels, the new Track 4 systems will begin to replace Baer’s line of PBR, 2-piston “Track” kits. Featuring Baer’s newest T4, 4-piston calipers mated to 13” diameter rotors; Track 4 kits promises to offer performance well beyond that of any other brake system in its price range. And with additional features such as standard powder coated caliper finishes in Red, Black or Silver and brilliant, slotted, drilled and zinc plated finished rotors, the new Track-4 brake system is sure to look as good as it performs. 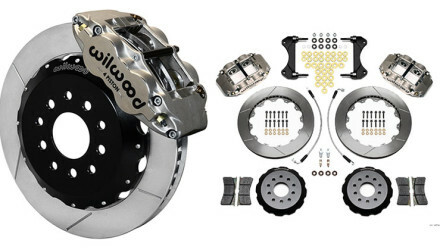 T4 Caliper Features: • The 6-bolt architecture of the T-series two-piece bodies produces an incredibly stiff caliper. • Radial mounting configuration disperses loads evenly, makes custom adaptation (when applicable) straight forward and the servicing of pads or rotors a simple, clean and easy task. • Stainless pad abutments which can be changed easily when changing pads also serve as anti-rattle/noise shims. • T4 units are simple to maintain, using the same pad shape as found on 1998-2002 Chevrolet Camaro. The FMSI (Friction Materials Standards Institute which is the recognized authority on brake pad references) number for this pad shape is D749. The D749 is available in a wide cross section of pad compounds from most US pad manufactures. 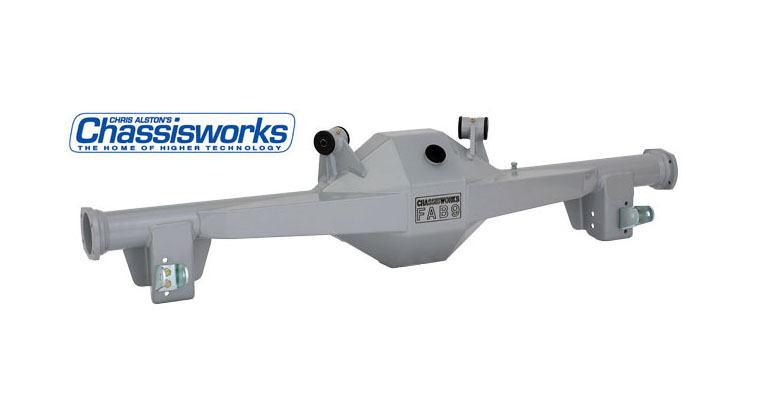 • Features internal fluid transfer passages and are bolted together from the back half of the caliper. 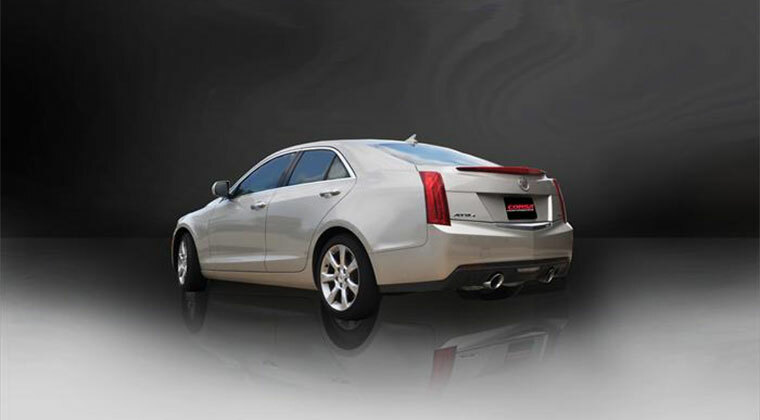 This arrangement makes the exterior of the T-series ultra clean with no externally visible crossover or bleeder. • Since only a single bleeder, located on the inner half of the caliper is used, T4 units bleed quickly and easily. • Available in two widths for 1.100” or 1.250” thick rotors. 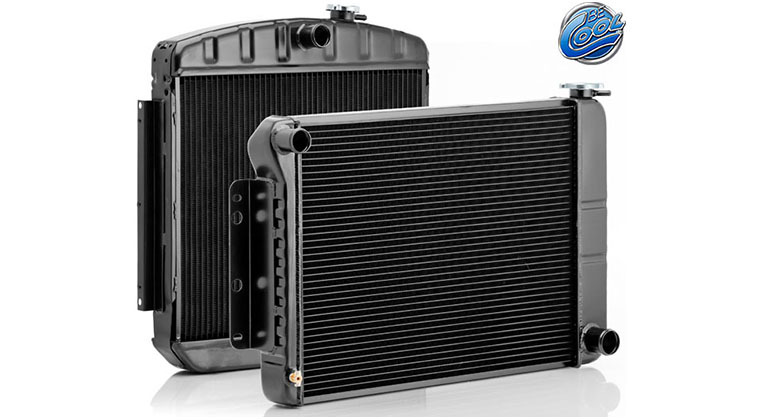 Baer Track-4 Systems are available now for most domestic muscle-car applications, with other applications soon to follow. Prices for complete systems start at just $1,095.00! 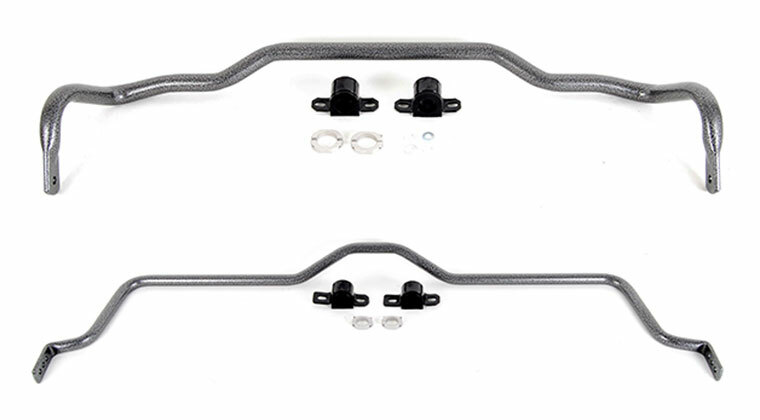 Track-4 System Features: • Systems contain all necessary mounting brackets and hardware, and even come with stainless steel braided hoses where required. • Early domestic Muscle Car applications also include 6061-t6 billet aluminum hubs, pre-packed in Redline synthetic grease for a mess free installation. 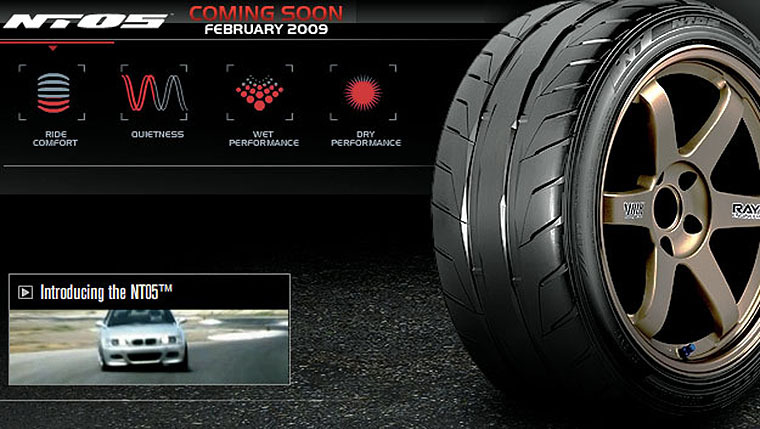 • All components meet DOT specifications and are street legal in all 50 states. • The 6-bolt architecture of the T-series two-piece caliper body produces an incredibly stiff caliper, netting incredible power and control! • Stainless steel pad abutments which can be easily serviced when replacing the pads also serve as anti-rattle/noise shims. 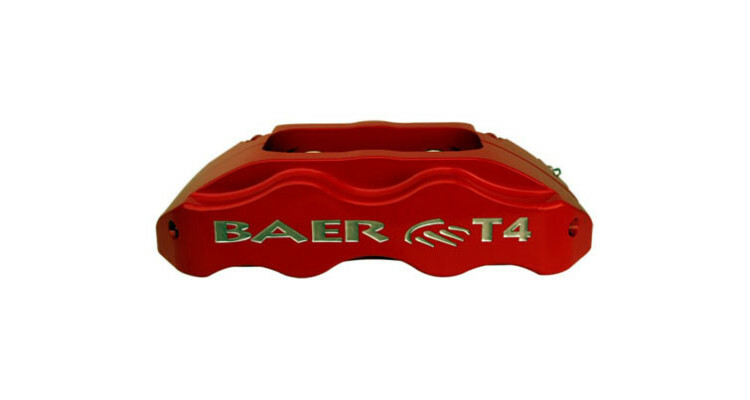 • Track-4 systems are Street and Track ready and include Baer’s DecelaPad brand, Ceramic compound brake pad, offering quiet, low dust operation, with thermal stability up to 1385 deg. F.